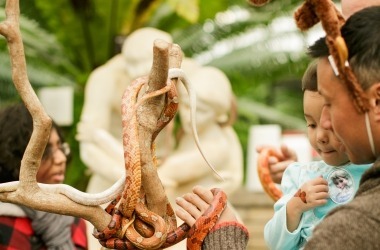 Garfield Park Conservatory is a fantastic place to bring family members of all ages. Something’s always growing, and there’s always something new to discover! To make your “growing” experience here even more enjoyable, we offer a number of special educational opportunities FREE for kids and families! Check our calendar for the next upcoming family event! Each month we dig into a different theme for Morning Glories and Fiddleheads, and use the plant collection as a platform for our exploration. From texture to color, shading and symmetry, our plants exemplify it all! See below for a full list of our monthly themes. Planning a visit when we don’t have programming? No problem! We have a variety of resources to make your self-guided visit just as fun, including scavenger hunts, digital tours, activities and more! Questions? Contact our Nature Education Coordinator at families@garfieldpark.org! 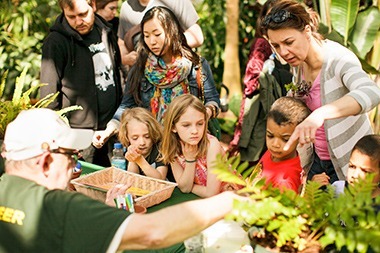 Each weekend we cook up projects that get kids and families wondering about the plants and the natural world. 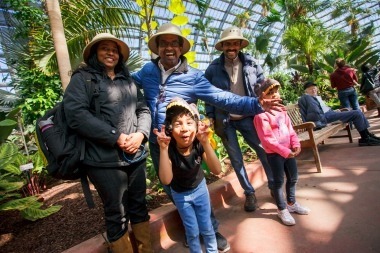 Come visit over the weekend to get a dose of the tropics and keep your kids connected to nature throughout Chicago’s colder months. Each month, we will wonder about the natural world in a different way, with activities changing weekly. Please Note: activities are subject to change. Enjoy learning together with your little one during this weekly drop-in session. 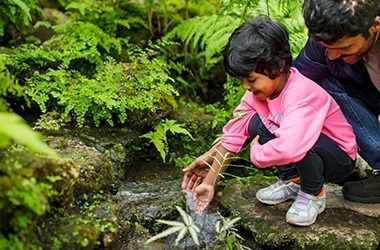 Activities are fun, interactive, and encourage children’s curiosity about the natural world. Children and their care-givers rotate to different stations around the Children’s Garden. Stations include planting projects, soil digging stations, tours, story-time, and more. Participation is free, but donations for material costs are appreciated. Please note that while all children 5 years old and under are welcome to take part in Morning Glories with adult supervision, some projects are designed specifically for children ages 3-5 years old. Younger children are welcome to participate in all stations with the support of their care-givers. Adult supervision is required for participation in the Morning Glories Program. Join us Wednesday evenings and let your kids get a little wild! Whether we’re inside or out, we will be exploring nature, getting our hands dirty and discovering new things about plants, animals and nature. Kids become scientists in this hands-on approach to STEM learning as they problem-solve, collect data, experiment, and practice their measuring skills – all through play! Drop in with your young one and let the learning begin! 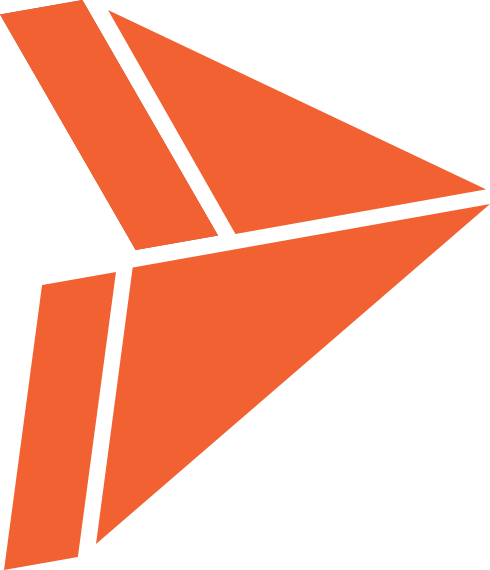 We were featured on WGN’s TV Series, S.E.E. Chicago! Click here to watch the clip!